LMSgrowth is a Microsoft Excel add-in written using Excel 2000 with Visual Basic for Applications (VBA), which runs under Excel 97 or above, on PC or Mac. It is designed for use with growth references based on the LMS method. NO NEED TO GO THROUGH THE CHECKOUT! 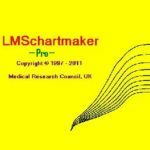 Click here to download LMSgrowth. What is available: LMSgrowth provides six menu items and three VBA functions to convert physical measurements to standard deviation scores (SDS) and vice versa based on a specified growth reference. The add-in LMSgrowth, saved in GROWTH.XLA, comes with the workbook BRITISH1990.XLS containing the British 1990 growth reference. Other growth references can be added. In addition there are files GROWTH.HLP and GROWTH.CNT for Help and README.TXT gives instructions for installation. What is required: First, copy the file BRITISH1990.XLS to the Excel startup subdirectory or folder, e.g. c:\…\XLSTART and the files GROWTH.XLA, GROWTH.HLP and GROWTH.CNT to another subdirectory, e.g. c:\growth, then open Excel with a worksheet, click menu Tools, click Browse in the loaded dialogue, locate GROWTH.XLA in the Look in list box and click OK. 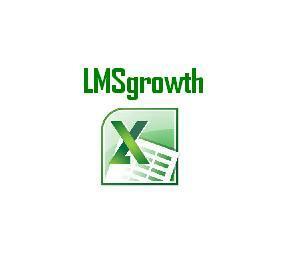 The LMSGrowth add-in is installed. Details of how to install or uninstall an add-in can be found using Excel Help. 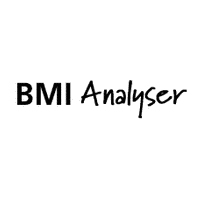 A copy of the 1990 British growth data is included with the software which is subject to copyright and may not be extracted from or utilised in any other software. The copyright includes reproduction in any format. Prior to the software being supplied a copyright license must be agreed.